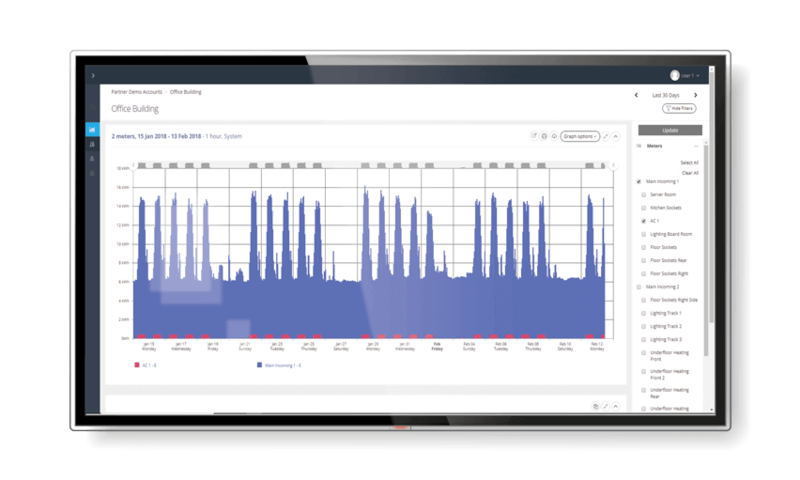 See, analyse and understand your energy consumption across an unlimited number of sites, then act to reduce it with behaviour modification and two effective, proven technologies in air conditioning and refrigeration. The 3 steps are below. Air conditioning can be one of the biggest draws on energy in commercial buildings, particularly in warmer climates. Most air-con systems are designed to switch on and off in a system of pre-programmed cycles – but what happens during those cycles? Air-con systems are typically over-active and over-sized for the application. ACES automatically cycles your compressor to reduce energy consumption without effecting performance. Refrigeration systems account for 20% of the world’s energy consumption. In most cases, refrigeration systems operate on a simple thermostat driven on / off cycle. The air in the unit dictates whether the cooling process is needed or not. But what really matters in a fridge – the air temperature or the food temperature? Our partner in the Nordics – IQ Energy – have installed our energy monitoring system across every single 7-Eleven store in Denmark. The results have been remarkable. It is an excellent example of the suitability of our system for the commercial market. The company behind 7-Eleven in the Nordics (Reitan Convenience) agree, and roll-outs are no ongoing in Sweden and Norway as well. You can see the project and hear from our client on the video (right).